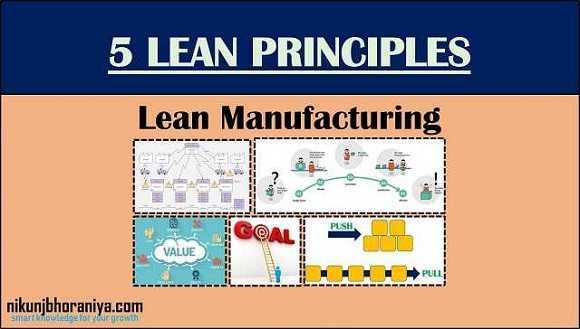 → Five Lean Principles in Lean Manufacturing are: Identify Value, Value Stream Map, Create Flow, Establish Pull, Seek Perfection. → The Lean approach begins with a detailed understanding of the value assigned to product or services by the customer. → This determines what the customer will pay. → Establishing value allows organizations to create a top to the bottom target price. → The cost to produce the products and services is then determined. → The organization focuses on eliminating waste so that they can deliver the value as per the customer's expectation. → Value is always defined by the customer’s needs for a specific product. → What is the timeline for manufacturing and delivery? → What is the price point? → What are other important requirements or expectations that must be met? 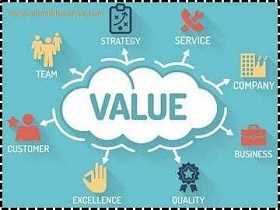 → The Value stream is the product’s entire life-cycle from the raw materials to the customer’s use and also disposal of the product. → In order to eliminate waste, there must be an accurate and complete understanding of the value stream. → Processes are examined to determine what value is added by steps, materials, features, and movement. → Steps, materials, features, and movement that do not add value are eliminated. → Once the value (end goal) has been determined, the next step is mapping the “value-stream,” or all the steps and processes involved in taking a specific product from raw materials and delivering the final product to the customer. → Value-stream mapping is a simple but eye-opening experience that identifies all the actions that take a product or service through any process. → The idea is to draw, on one page, a "map" of the flow of material/product through the process. 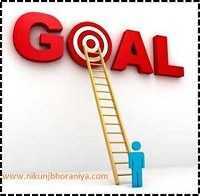 → The goal is to identify every step that does not create value and then find ways to eliminate those wasteful steps. 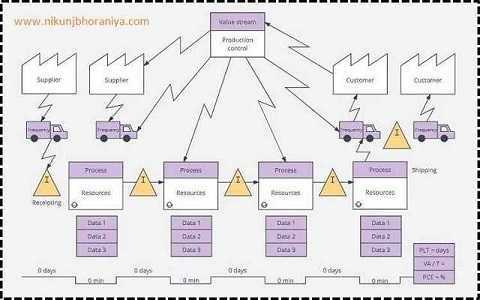 → Value-stream mapping is sometimes referred to as process re-engineering. Ultimately this exercise also results in a better understanding of the entire business operation. → Understanding flow is essential to the elimination of waste. If the value stream stops moving forward at any point then the waste is a necessary by-product. → The lean manufacturing principle of flow is about creating a value chain with no interruption in the production process. → After the waste has been removed from the value stream, the next step is to be sure the remaining steps flow smoothly with no interruptions, delays, or bottlenecks. → Make the value-creating steps occur in tight sequence so that the product or service will flow smoothly toward the customer. → The lean principle of pull helps ensure flow by making sure that nothing is made ahead of time, building up work-in-process inventory. → Rather than using the traditional American manufacturing approach of pushing work through based on a forecast and schedule, the pull approach that nothing is made until the customer orders it. → This requires a great deal of flexibility and short design to delivery cycle times. It also requires an efficient way of communicating what is needed for each step in the value chain. → The Pull system makes easier to deliver products as needed, as in “just in time” manufacturing or delivery. → This means the customer can “pull” the product from you as needed (often in weeks, instead of months). → As a result, products don’t need to be built in advance or materials stockpiled, creating an expensive inventory that needs to be managed, saving money for both the manufacturer/provider and the customer. → The march toward perfect process happens step by step as continuous improvements and implementing preventive actions on root causes of quality problems and production waste. → Lean experts often say that a process is not truly lean until it has been through value-stream mapping at least half a dozen times. → Continuously dig deeper, measure more, and change more in the process for achieving the perfect lean process. → Making lean thinking and process improvement as a part of your corporate culture. It is important to remember that the lean is not a static system it requires constant effort and vigilance to perfect. → Every employee shall be involved in implementing lean.